Denise Farnan is a Principal & Consulting Actuary with Perr&Knight. 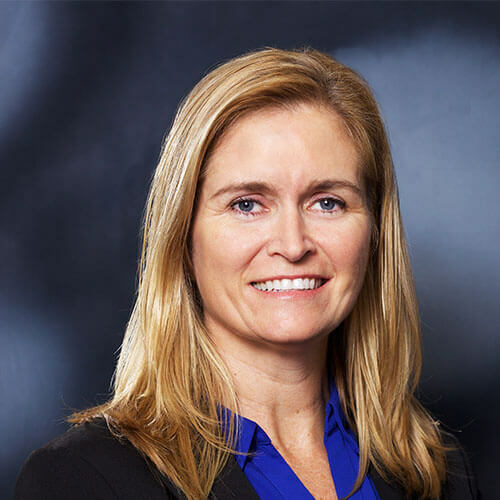 Denise leads the Predictive Analytics Unit and also provides actuarial services that include rate and rule filings, product development, ratemaking and reserve analyses. Denise has experience with predictive modeling projects including rating factor analysis, evaluation of marketing initiatives, monitoring of models and claim severity drivers. Prior to joining Perr&Knight’s Boca Raton, Florida office in 2008, Denise led the actuarial department at Bristol West Insurance Group, a non-standard auto insurer, where she was responsible for reserving, pricing indications, financial reporting and numerous research projects involving generalized linear modeling. Additional prior experience includes nine years at the National Council on Compensation Insurance (NCCI), holding various responsibilities including state actuary. Denise Farnan has a Master of Science degree in Mathematics from the University of Florida. Denise is an Associate of the Casualty Actuarial Society and a Member of the American Academy of Actuaries. She has served as President of the Casualty Actuaries of the Southeast, a regional affiliate of the Casualty Actuarial Society, and as a presenter at industry conferences.